« September 26, 2012 – The games have arrived! 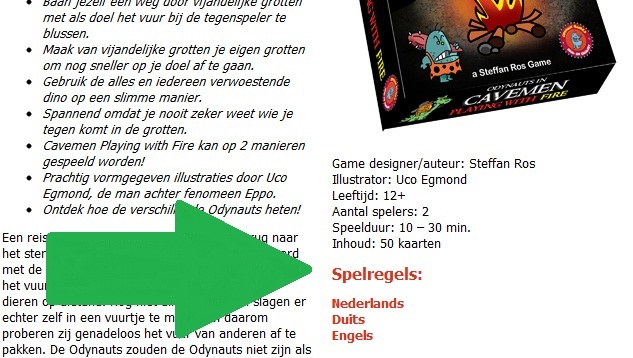 Since it won’t take long before the first three Odynaut Games are available, we already put the manuals online. Learn now how to play Rule the Roost, Chipleader and Cavemen Playing with Fire. That way you can start playing right away as soon as you get your own Odynaut games. So get along, there is no time to waste.